Modern Beauty Girl: Mini Clothing Haul! So I went on a little shopping spree the other day and I bought a couple things online, one things from a little boutique, and a couple of beauty things. This post will be on the clothing items I got and when my beauty items get in I'll do another one on those! So let's start with the American Eagle items! They were having a 40% off sale, so I got everything for really cheap and they also had free shipping, so that was amazing! I think that they might still have the sale going on, but maybe not the shipping? I don't really know, but I ordered this the other day and I think the items might still be in stock. So first off I got a black cardigan. It's really loose and flowy, which I love. It's also a really flattering hem because it hits slightly under the waist, which I love! I've actually worn this a couple times since I've gotten it and I love it! Next, I got a pair of jeans. These are just black skinnies. 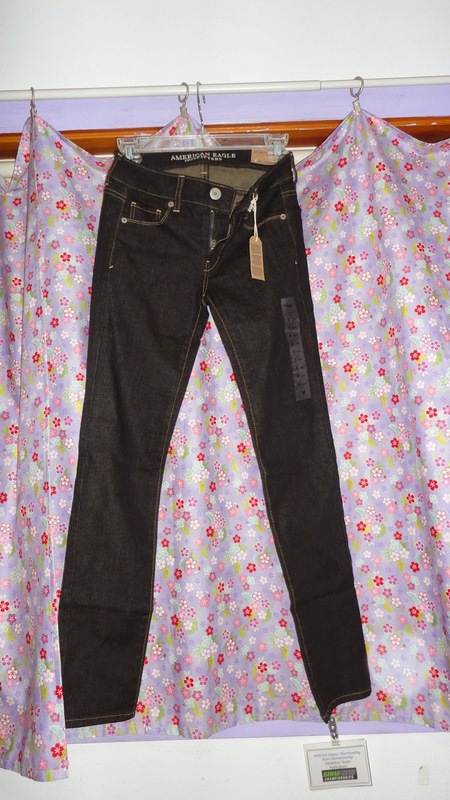 I don't really particularly like American Eagle jeans because I think that Hollister ones just fit me better, so I kind of bought this in a spur of the moment. I'm not really sure how I feel about this. The length is good and it fits okay, but the legs aren't as "skinny" as I thought they would be and they seem more straight legged if anything. Also, on the back, the pockets are kind of huge, so I don't know how much I'll actually wear these... I'll keep you guys updated! The last thing that I got from American Eagle was a tank top. I love this top so much, but when I first got it I thought it looked a little funny! So it is black and loose fitting. 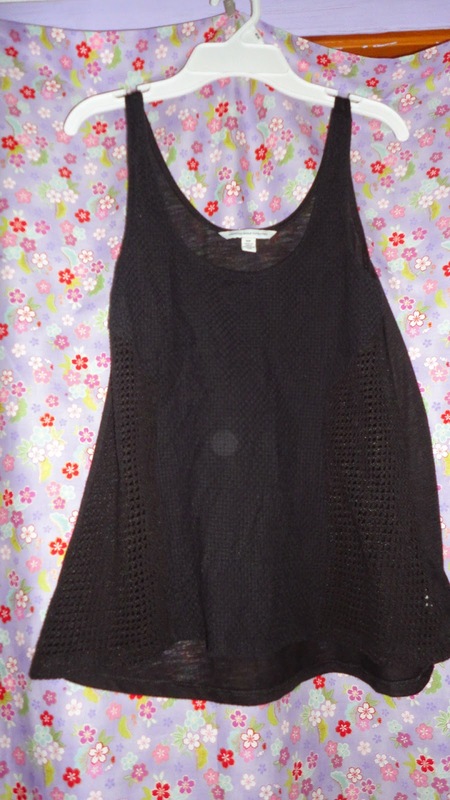 The back is a solid black fabric, while the front has a solid piece with open weaved panels. It's kind of hard to see in the photo, so I promise to do an outfit of the day so you guys can see how it actually looks on me! The last thing that I got was from a little boutique in one of my local malls. 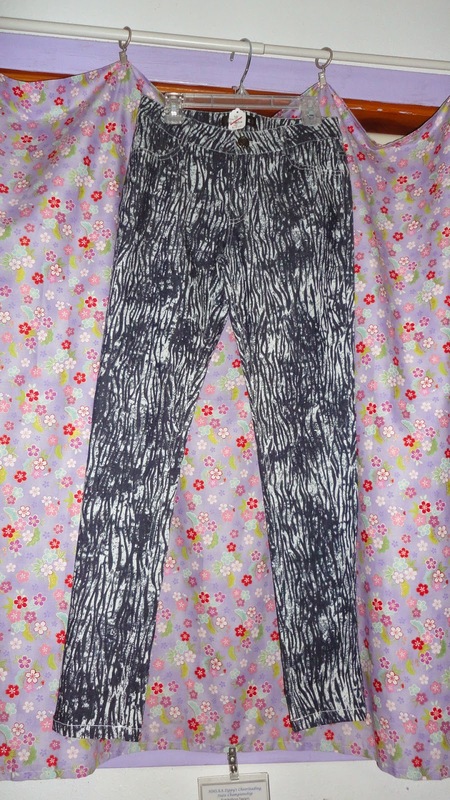 It is a pair of jeggings with a really cool design on it! It is white and navy and has really cool squiggly and stripy designs on it! They fit me really well and the fabric is really comfortable so it's almost like a second skin! I don't know if or where you can get this online, so I'm super sorry if you want to get this! So that's my mini clothing haul! Let me know what you think of the pieces I got in the comments and don't forget to follow this blog! Also, just an FYI for all of you who don't know, I switched my posting schedule to Tuesday, Thursday, Saturday! Inka Green Lagoon Eyeliner Review! Love Yourself The Way You Are! A Day In My Life: Spring Break Edition!